Dr. Blanca Lupiani will serve as Dean Of Faculties & Associate Vice Provost and Dr. Debbie Thomas will serve as the new dean of the College of Geosciences. Aerial view of Texas A&M University. Texas A&M University President Michael K. Young and Provost & Executive Vice President Dr. Carol A. Fierke announced two new dean appointments this week. Dr. Blanca Lupiani has been appointed Dean of Faculties & Associate Provost effective March 1 and Dr. Debbie Thomas has been appointed the new dean of the College of Geosciences effective Jan. 14. Lupiani, a professor of veterinary pathobiology, has served as executive associate dean of faculties since April 2016 and as a member of the Office of the Dean of Faculties since 2012. She was the interim vice president and associate provost for diversity (Oct. 2017 – March 2018) and will succeed Dr. John August as he steps out of this role in February. As dean of faculties and associate provost, Dr. Lupiani will provide strategic and scholarly leadership representing faculty needs and issues. She will oversee key faculty-related administrative processes such as hiring, tenure and promotion and faculty development. In addition, she will administer policies in support of a diverse and inclusive environment that supports and encourages faculty to achieve their maximum potential. The dean of faculties also supports university faculty development and advancement through the Center for Teaching Excellence, ADVANCE, Office of External Faculty Recognition and the office of Immigration Services for Faculty and Scholars. Dr. Lupiani received her bachelor’s degree from the University of Santiago de Compostela, Spain, and her Ph.D. as a Fulbright Scholar from the University of Maryland, College Park. She subsequently did post-doctoral work at the Agriculture Research Service in Beltsville, MD, and East Lansing, MI and at Michigan State University. She joined Texas A&M University as an assistant professor in 2002. Dr. Thomas received her master’s degree in marine sciences and her doctoral degree in geological sciences from the University of North Carolina. Her undergraduate degree is in geological sciences from Brown University. She joined Texas A&M University in 2004 as an assistant professor and currently holds the rank of professor in the Department of Oceanography. Dr. Thomas, who specializes in the field of paleoceanography, was instrumental in establishing the R. Ken Williams ’45 Radiogenic Isotope Geosciences Laboratory. She studies the chemical composition of marine sediments to reconstruct past climate with a particular interest in the climate dynamics of globally warm periods of time in earth’s history. Her work relies on sea floor samples collected through the International Ocean Discovery Program (IODP). 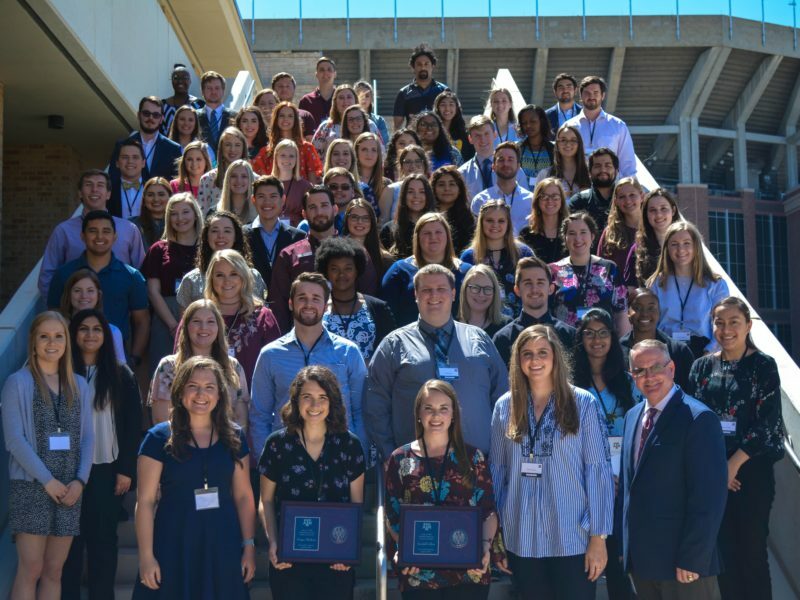 Dr. Thomas’ honors include being named a Montague Center for Teaching Excellence Scholar and receiving the college-level Distinguished Achievement Award for Teaching from the Texas A&M Association of Former Students. She was the keynote speaker for the Shell Science Seminar at the National Science Teachers Association’s national conference and delivered the keynote address at a Texas A&M University Freshman Convocation. She has also been named a distinguished lecturer for the Consortium for Ocean Leadership. Dr. Thomas has served as interim dean of the College of Geosciences since 2016 and was previously head of the Department of Oceanography (2013 – 2016).